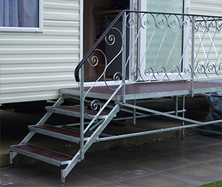 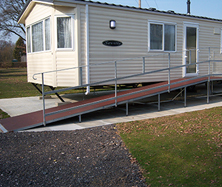 Bebbington Steps manufacture all their own products, all products are galvanized as standard and then can be powder coated if required. 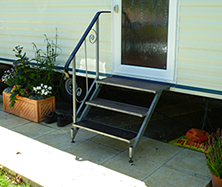 All steps are fully adjustable for height and have a non-slip mesh ply for the boards. 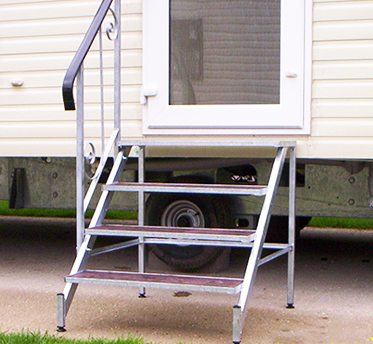 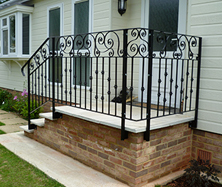 The handrail is a steel handrail with a black UPVC moulding for a smooth finish.